(noozhawk.com)- Local Nonprofit Lighting Way for Midwives in Somaliland. On International Day of the Midwife, Friday May 5, Santa Barbara-based nonprofit Unite to Light will be celebrating midwives across the globe as crucial to reducing childhood mortality and improving maternal health. The work of midwives is especially important in developing regions and remote areas, where hospitals and clinics may not be available, which is why Unite to Light is highlighting the important work of the Edna Adan Hospital Foundation in Somaliland. In Somaliland, a small country in eastern Africa, one in 12 women will die from pregnancy-related causes. Armed conflict killed or forced the majority of healthcare workers to flee the country, leading to one of the world's highest maternal mortality rates. 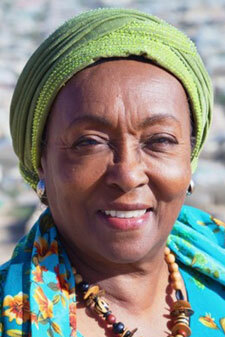 In response, Edna Adan — former first lady, U.N. diplomat, and foreign minister of Somaliland — built the nonprofit Edna Adan University Hospital (EAUH) in 2002. EAUH is a teaching hospital that trains doctors, nurses, midwives, laboratory technicians, and pharmacists. “Ensuring that midwives are trained and supported in the rural regions of Somaliland is one of the major emphases at our hospital,” Adan said. "A midwife typically assists with 150-200 births per year, while some may deliver as many as 400 babies a year. Their impact is significant in a country where a skilled professional attends only 10 percent of births," she said. “As the number of trained midwives has increased, the number of mothers who die due to maternity related issues has decreased. However, the maternal mortality rate is still unacceptably high,” Adan said. Unite to Light honors the work of Adan and the EAUH, and seeks to provide these midwives with the tools they need to perform their work. “Most of the rural areas in Somaliland do not have electricity. We want to provide durable, efficient, solar powered lights to each of the 200 EAUH graduating midwives so that they can better aid their communities,” said Megan Birney, president of Unite to Light. To support midwives and send solar lights to EAUH, Unite to Light is accepting donations online. For every $10 raised, one light will go to EAUH: http://www.unitetolight.org/Donate/EdnaAdan. For more information about Unite to Light, visit www.unitetolight.org. — Megan Birney for Unite to Light.